Agra, the city of Taj Mahal and other innumerable monuments besides renowned Agra Fort and Jama Masjid has no dearth of nice restaurants which serve exotic as well as Indian cuisines as varied as one can imagine! Why a little known place like Sheroes Hangout—a café is talk of the town, is hardly a mystery because they serve you and the menu is there to take orders from you, but the menu does not provide a clue to the charges one has to shelve out for treating his or her’s tastebuds. You pay what you like—a concept well received by the guests. 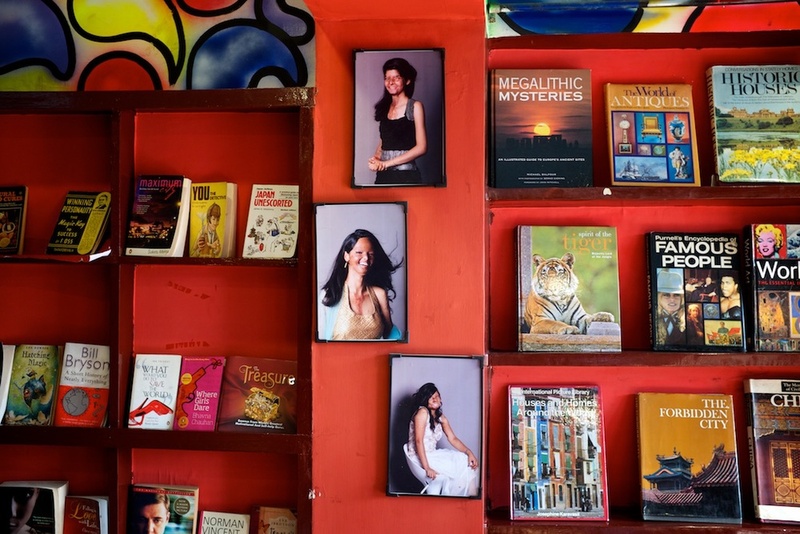 Moreover, it is more than a café, traditionally cafes are known to offer reading material, some books, magazines and newspapers to the guests and there is nothing fancy in it, but you can fetch a designer dress, some Indian artifact, or a painting from the café, which also serve as a boutique. Interesting? 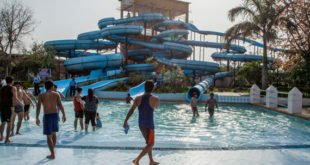 But it is not all.Located at a short distance of a five star hotel of a big hospitality chain, the Sheroes Hangout has managed to find some sufficient place for itself in the Fatehabad Road area, which is better known for a number of luxurious international to budget and makeshift hotels and dhabas. The Hangout’s special feature that segregate the café from the other is the fact that it is being run by the survivors of acid burn victims of the different part of the country. The venture, being run by five member team, is being identified on the social media as, “A venue where new wave feminism evolves everyday to overcome the challeges faced by the women……”. 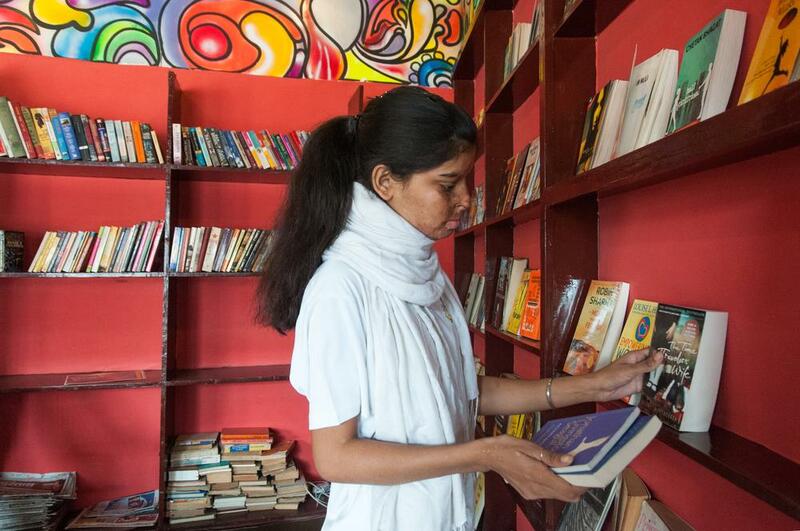 Neetu and Geeta, the acid attact victims manage Kitchens and Reader’s Café, the Boutique and Design Centre is being managed by Rupa, who hails from Muzaffarnagar and is a gifted designer. 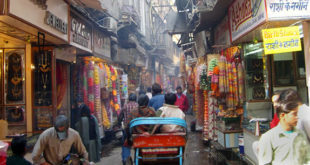 Handicrafts and Exhibition space is primarily assigned to Ritu who was a budding volleyball player once. Chanchal looks after Hospitality Management and Services outfit of the Hangout. They have their own stories to tell, but one thing is clear—they have moved on in the life, forgetting the worst which could have happen to them. 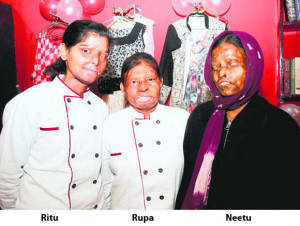 Their stories may have different angle but they have a common element–They are the victims of acid burn. Neetu had lost her eyes when she was just three. She became the victim of her father’s weird act. Rupa was victimised by her step-mother who threw acid on her. Ritu used to run, jump, make goals and had dreams in her eyes when she was shattered by some unidentified person who pour acid on her face. Chanchal Paswan who comes from Bihar was the victim of high handedness of the local goons and attcked by acid while she was fast asleep. Geeta was the victim of acid burn by the hands of his drunk husband who hated her for not giving birth to a male child.Besides a foodies’ place, an activism workshop, a readers place, a community radio hub and an exhibit space—all are manned by the five acid victim survivor women. 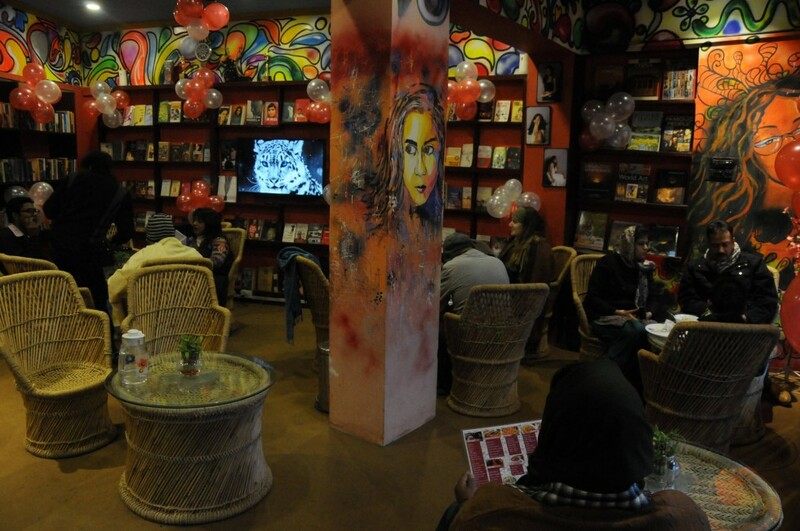 Initiated by Stop Acid Attacks Campaigns, which was launched in the year 2013 in New Delhi run by Chhanv Foundation, the café is talk of the town now. Advertising about the services, they say, “…and revolutions too are not brought out with empty belly. So, a tiny café serves delicious bites round the hour, alongwith awesome brewarages”. So, you browse the history and chalk out future plans with a cup of espress and your preferred bite of cheese sandwiches. The funding for the Café was made available by crowdfunding support. 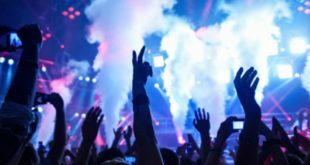 It is amusing that the international crowdfunding sites muster millions and millions of US $ for different sorts of innovative projects worldwide, but against the considerate target of US $ 5000 (about Rs. 3.25 lakh), the campaign could manage only 46 per cent, i.e. US $ 2276 ( about Rs. 1.50 lakh) in 21 days. One person chose to get a designer dress by Rupa, which carried a price tag of US $ 400, four persons contributed towards electricity bill budget @ US $ 25 each, one preferred coffee with a fighter @ US $ 50 and three claimed perks of free lunch at café @ US$ 100. None from the worldover contributed to the perks of US $ 500 which would have earned one the tag of “Pillar of Strength” and helped in training to the victims in food delivery system. Only three persons –one from Italy, the other from US and an Indian encouraged them by offering kind words of comments of solidarity.Though their fanpage on Facebook is full of appreciation and interest for helping them out in their venture, but nothing substantial has come to their aid, it seems. Someone says, “..A place where I would love to celebrate my new year as well as all my special days with you guys :)”, the other person, a dental surgeon offers his services for the team free of cost. The TripAdvisor, an international travelling website, has credited five out of five stars marks to their place while publishing reviews of the visitors. Maya Laurence from Vienna, Austria writes, “We found this café by hasard and left with the feeling that this place should be mentioned in every existing guidebook! The food was excellent, the place really nice and relaxed, and the people amazing and extremely friendly and polite. All this would give enough reason to have a break in this coffee…”. Kiwin Brighton from England says, “We visited Sheroes across from our hotel. We had a grilled cheese sandwich, French fries and some refreshing drinks. Some moving stories of the lovely ladies working there you can read on the menu. They have crafts to sell and you decide what to pay for your meal…”. Similarly, Angela S from Las Vegas, USA writes “I read about Sheroes in a german news magazine shortly before my visit to India, and hoped I would have a chance to visit. And I did!! !…” Jenniare P from San Jose opined, “Yes, the Taj Mahal is great, but Sheros cafe was the highlight of Agra for me. This place is absolutely amazing. I was so humbled by the woman working there and to hear their stories. Sheros gives these women a place to feel safe so they can rebuild their lives…”. If you happen to visit Agra, to see Taj Mahal or Red Fort or just the city, we can hope you to pay a visit to the brave ladies’ paradise. Address : Sheroes’ Hangout,Opposite The Gateway Hotel (Taj View) Fatehabad Road, Agra, UP, India. Phone Numbers : +91-562-4000401, +91-7533083502.